The Four Corners region of the United States is home to numerous cliff dwellings and ancient Pueblo structures. 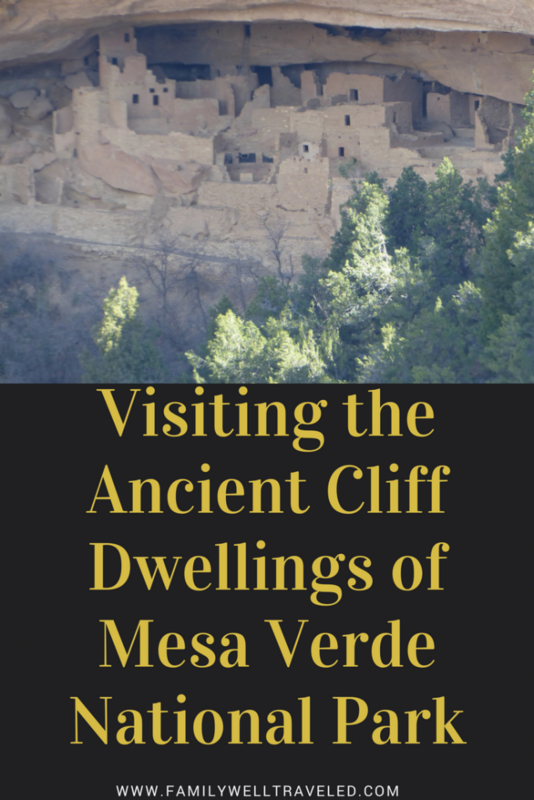 None is more famous than the cliff dwellings at Mesa Verde National Park. 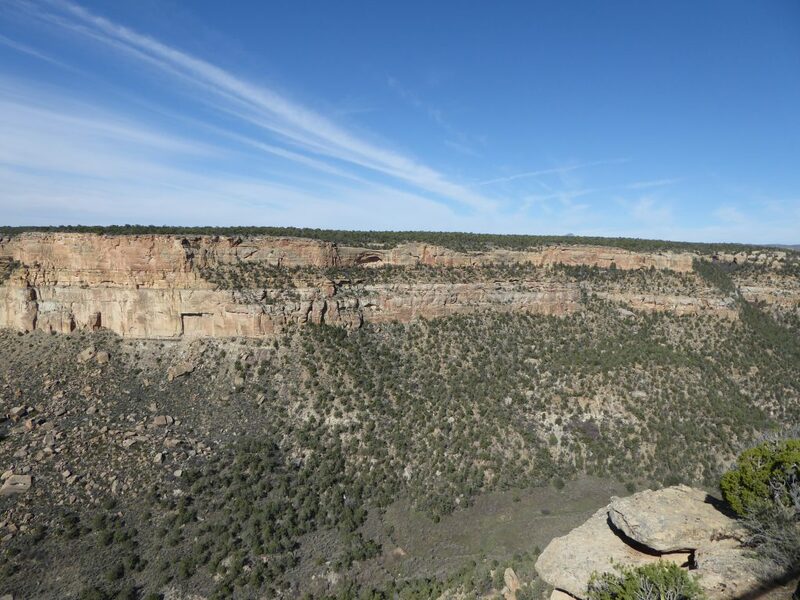 A trip here amazes visitors as they contemplate the lifestyle of the ancient Puebloan people and wonder why they suddenly disappeared from the region 800 years ago. 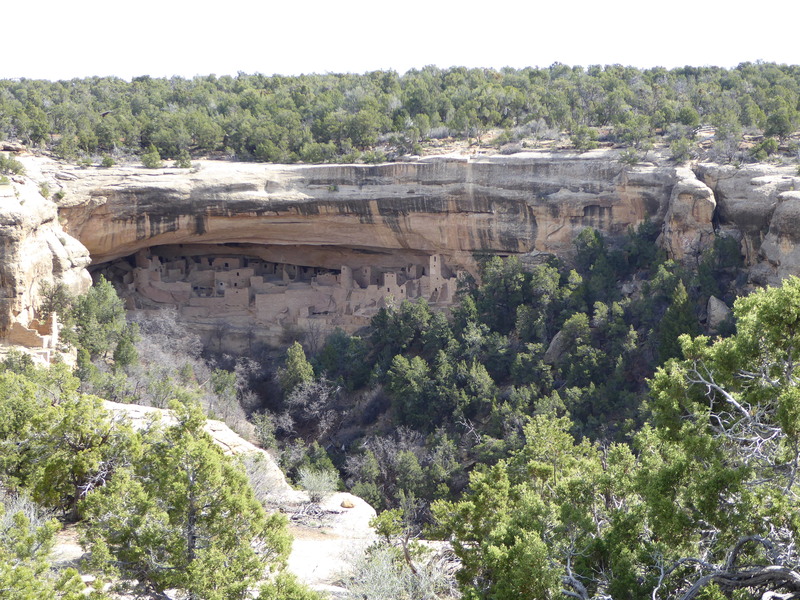 We visited Mesa Verde in late March which was a good time to avoid the Summer crowds. Unfortunately, tours to Cliff Palace and other locales were unavailable at this time of year (the tours run from April through October). Also, the Wetherill Mesa Road was closed for the season. However, we still got to drive along the Mesa Top Road and see many pit houses, pueblos, and cliff dwellings. Your tour starts at the Visitor’s Center, where you can purchase tickets for tours of Cliff Palace, Balcony House, or Long House; collect Junior Ranger books; and get maps and information. It is a 20-mile drive from the visitor’s center to the pit houses and pueblos, so it’s a great idea to stop off before driving into the park. 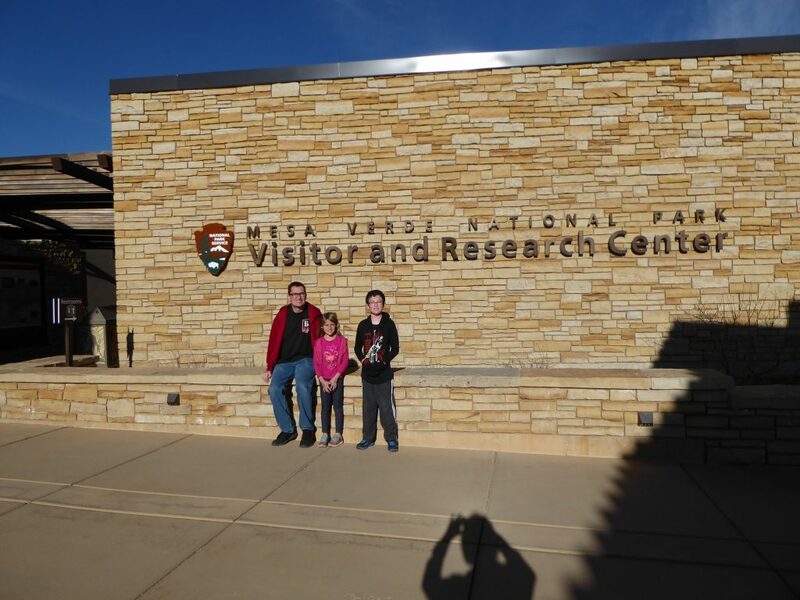 My kids and me at the Visitor’s Center. After our stop here, we drove into the park. It took about 45 minutes to drive the 20 miles through switchback roads. The kids worked on their Junior Ranger books during the drive. We saw a few hawks during the drive, and caught some breathtaking vistas, too. Our first stop was Far View Community. Here, we learned how the people built the homes and lived in community. The structures are built right on top of each other. Far View gave us a good first taste of what was to come on the Mesa Top trail. From Far View we drove along the trail, which has a number of stops and pull outs along the way. We stopped at all locations where we were able to see pit houses. the earliest structures found at Mesa Verde date from A.D. 600 and were dug into the ground with wood pole beams and covered by mud roofs. Here, we learned about the kivas, holes built at the base of the structures where it was believed spirits could enter into this world. One of the many pit houses along the road. In addition to the pit houses, we were able to stop and see the stunning vistas and mesas, hundreds of feet above the valley floor. It made us wonder how the people would climb up and down these canyons to hunt and harvest. 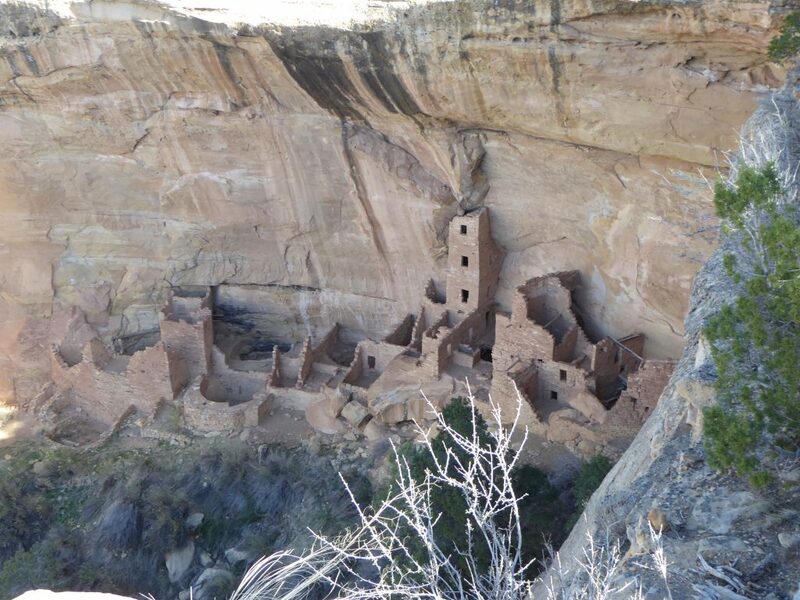 After seeing many pit houses, I was greatly moved when we saw the first cliff dwelling, Square House Tower, built somewhere between A.D 1200-1300. I was in awe of the people who built the structure and wondered more who they were and what hardships they faced daily. Square Tower House. 60 of the original 80 rooms remain. We next made our way to Sun Point View, home of Sun Temple, Mummy House, Sunset House, and Oak Tree House. It took a minute for our eyes to adjust to the view and actually see the structures built into the cliff walls. The kids took many pictures here. From here, we drove to one of the most famous cliff dwellings, Cliff Palace. We got close to the dwellings, but we really wished we had gone during summer so that we could take a tour and stand on the structures. Balcony House is located under the parking lot at this location. So, when we visited, we were unable to see Balcony House, since tours were not operating. 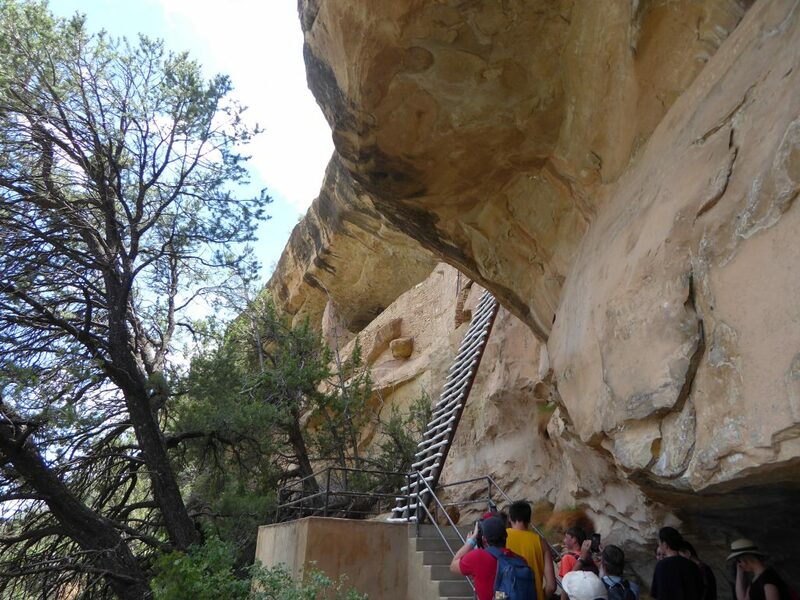 We took a second, summer trip to Mesa Verde and were able to tour Balcony House. 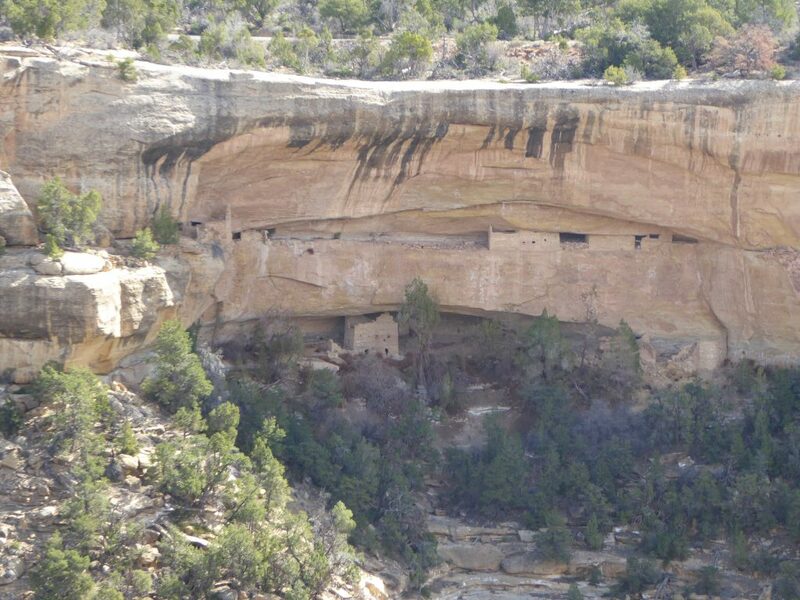 The site contains 40 rooms and two kivas, suggesting that two families lived in these cliff dwellings. The tour is quite strenuous, requiring a climb up a 32-foot tall ladder and crawling through a 12-foot tunnel. After our journey through the Mesa Top trail, we made our way to Spruce Tree House and the Chapin Mesa Archaeological Museum. Here we also stopped at a restaurant for lunch. The food portions are huge, and we bought too much food for my kids. 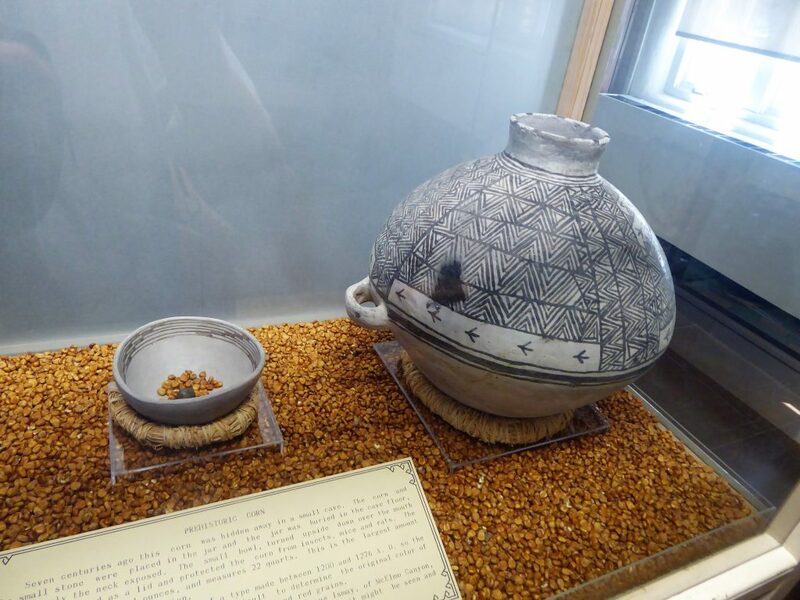 The museum was a great place to see some artifacts and learn more about the ancient Puebloan people. Our kids also turned in their completed Junior Ranger books and received their Junior Rangers badges. The museum is a few hundred feet from Spruce Tree House. The museum tells the history of the Ancestral Pueblo people with dioramas and artifacts found on site. Unfortunately, shortly after the discovery of the cliff dwellings, amateur archaeologists ransacked the structures, often collecting or pilfering the artifacts. 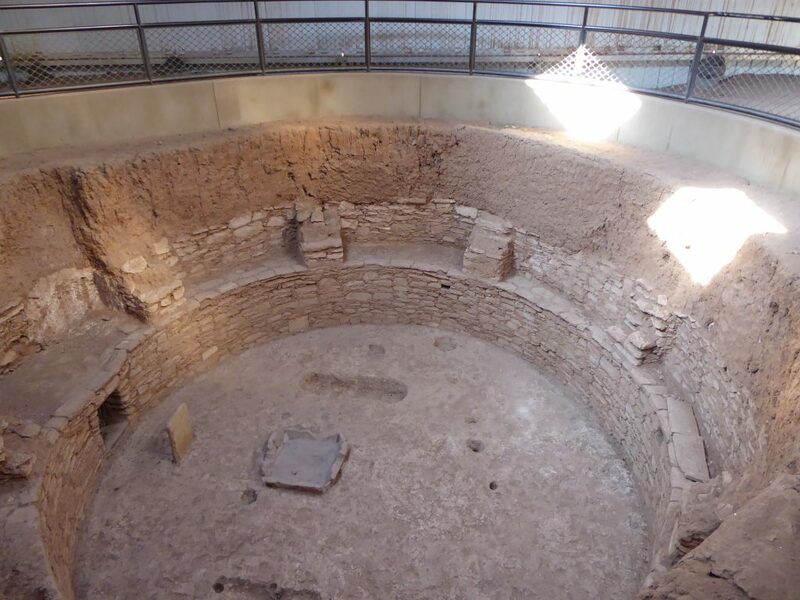 The Chapin Mesa Archaeological Museum has still been able to collect many pieces from the 5000 plus sites for public viewing. Artifacts range from baskets, jewelry, tools, and pottery. The black on white pottery of the Ancestral Pueblo is world famous and the museum displays many masterpieces of the form. 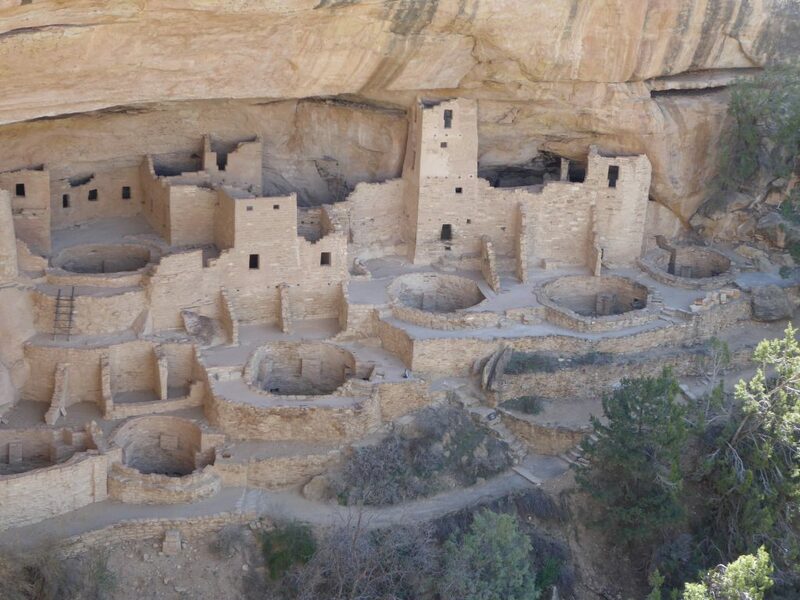 Have you visited Mesa Verde? What did you enjoy? Let us know. 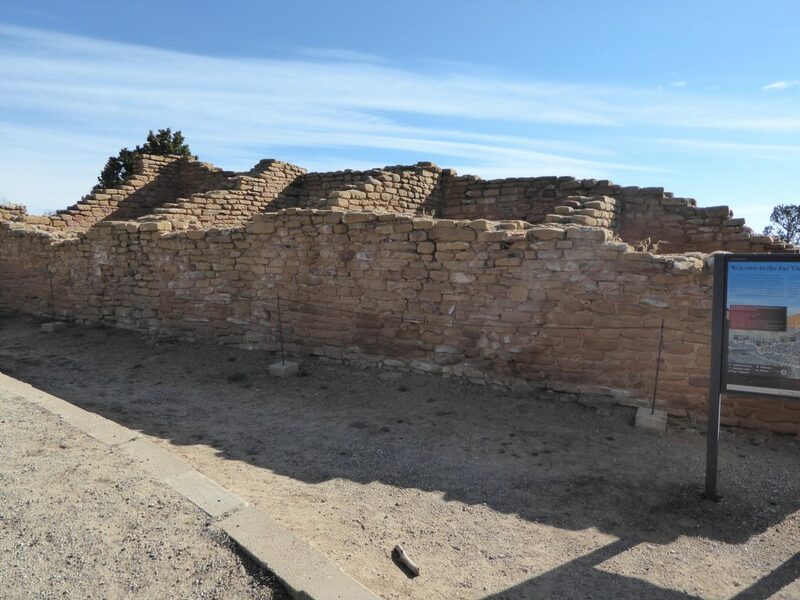 Read about our trip to Puebloan Ruins in New Mexico. Read about the time We Survived the Balcony House Tour. Our family archaeological dig in Golden, Colorado. Those are incredible. I can’t believe how much engineering must have gone into that. And I wonder what the furniture looked like. Yes, it is amazing to see and wonder how everything was built. 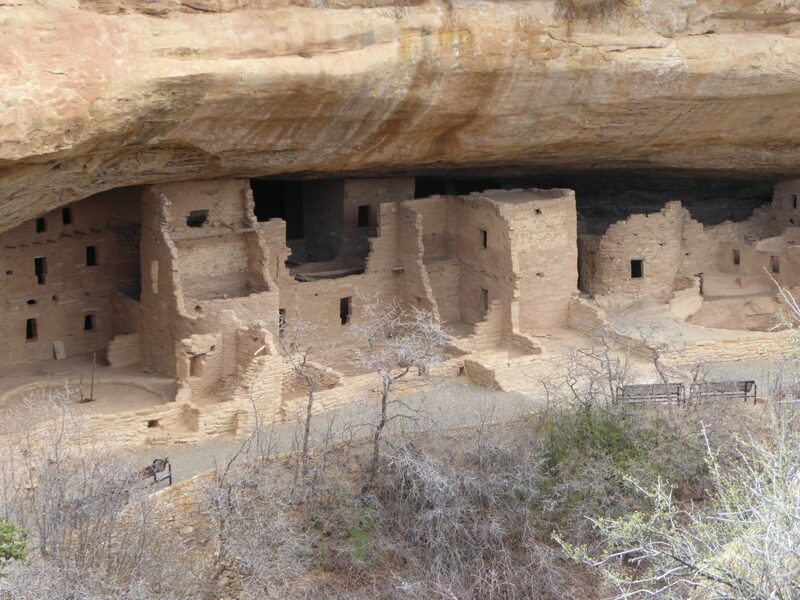 There are many cliff dwelling in the Four Corners area, but Mesa Verde is probably the most famous. It’s definitely a region we could visit again and again. Wow, lovely marvels of ancient architectures. Thanks. We were in awe. Oh wow, I hadnt even heard of these Puebloan people before, sounds like a fascinating visit for the whole family. Thank you for sharing. It was a fascinating place to visit with lots of interesting history. And there is so much that is not known about the people, which makes them even more fascinating. We loved our trip there and we miss it a lot. Good call to remind us that another trip is in order, Mesa Verde is such an incredible park! We cannot wait to go back, too. 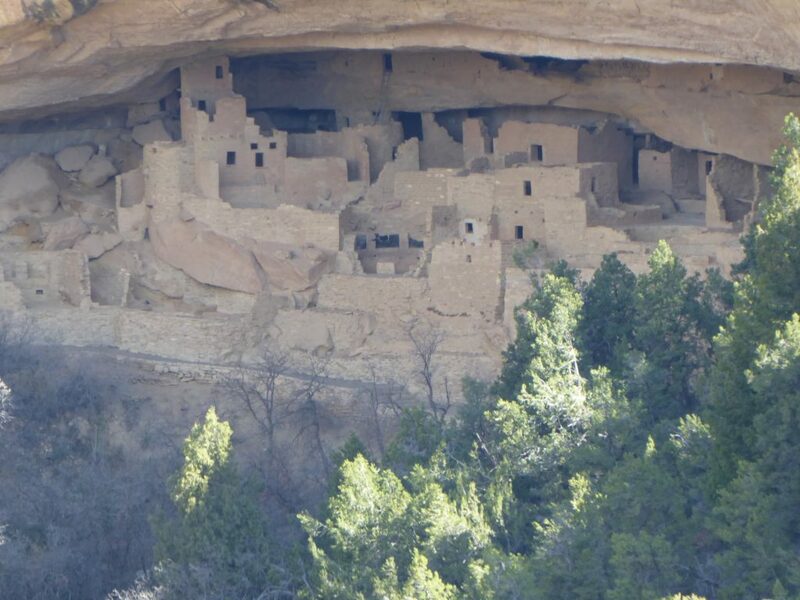 I didn’t know there are such cliff dwellings in the US. It reminds me of the cave houses in Cappadocia. It also makes me wonder what happened to the Puebloans who once lived here, and why they left their homes. Doing a tour of the sands structures would have been an amazing experience, but even so, you got to see them from a distance. I never knew there was a civilization that just got wiped out here, is there any ideas to why they got wiped out? It is unclear what happened. Was there a famine that forced the people to move? Disease? Or some other event? No one is sure. This place looks amazing, full of history and a place which should be on anyone’s list. Never even heard of Mesa Verde until today so hope to come here one day and check it out. I did this years ago and really loved it. I’ glad you mentioned that its closed part of the year, because I was thinking of going in April. Such an amazing site. It is open year round, but the tours are only available during Spring and Summer months. If you are going in April, you’ll want to check their website to see if tours are available when you are visiting. We went in Mid-March. Mesa Verde National Park looks fascinating. The story of the people who must have inhabited these land in times long gone by must have been really intriguing. The fact that they disappeared from the land without a trace is indeed an enigma. Would love to visit this place someday. It was one of our favorite National Parks. You really should plan a visit. Mesa Verde is such an amazing place. It’s a National Park I could visit over and over. What an interesting site! The Cliff Palace really is the crown jewel of this place. Some of the portions are quite well preserved, aren’t they? Should add this to my list, it fits in with our kind of travel . Cliff Palace is pretty amazing.